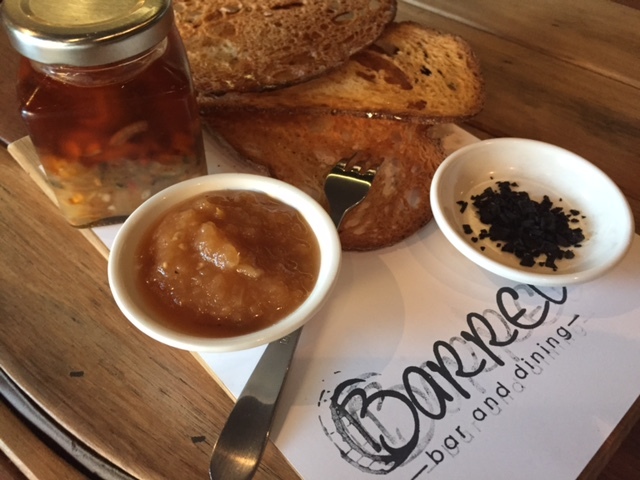 With the word ‘barrel’ in the name it’ll come as no surprise to hear that Barrel Bar & Dining is a wine bar (converted wine barrels are, in my view, the best tables in the house). 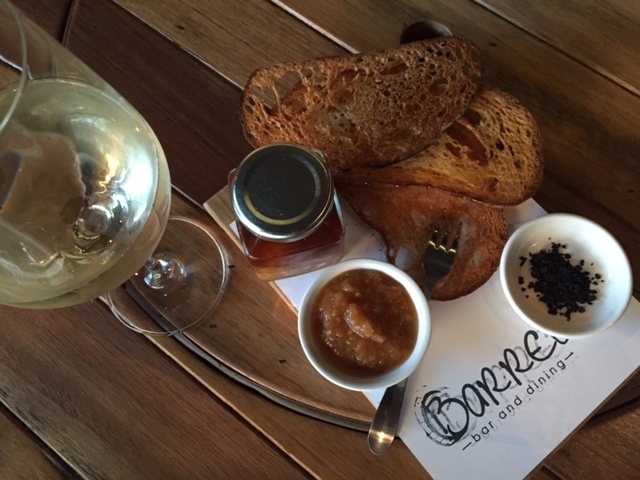 Unlike many of Sydney’s ‘hole-in-the-wall’ and ‘hidden laneway’ wine bars Barrel Bar & Dining is unmissable. It’s located on a busy spot along Military Road less than 100m (a one minute walk) from the Hayden Orpheum Picture Palace. Large floor to ceiling glass windows give passing pedestrians a full view of what’s on offer. And, it seems many of them are being tempted to drop in, even early in the week when many places on the Lower North Shore are quiet. The $5 beers and $6 house wines during Happy Hour are an obvious drawcard. But with a menu covering 25 different dishes the food is a big temptation too. 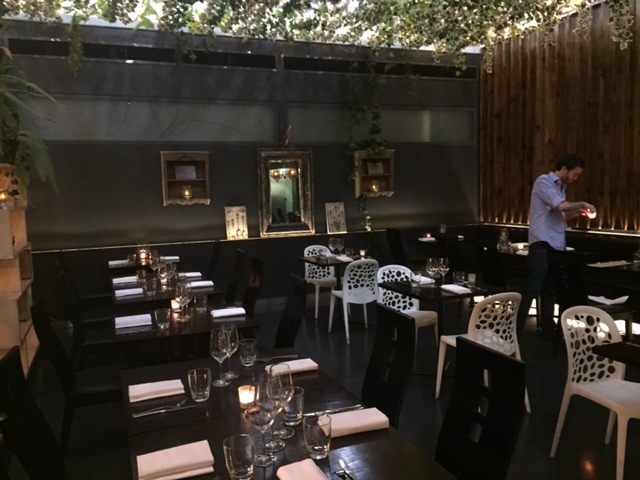 Barrel Bar & Dining was transformed from its former self (under a different name) by three sommeliers, Tony Binning, Stephen Thompson & Alex Searle. Their collective experience spans top restaurants in Sydney and London. What they’ve created in Cremorne is a refined neighbourhood local. Refined because they’re using top ingredients to produce contemporary Australian cuisine that sits on the fancier side of the casual dining spectrum. So what makes it a neighbourhood local? Well firstly the menu is all-occasion – drop in for nibbles in the bar over a pre-cinema glass of wine, enjoy a feast of smaller plates in the indoor courtyard or make a special occasion booking and linger over the $59 five course tasting menu. Secondly there’s BYO wine on offer. Yes for $10 per bottle locals are being tempted in Sunday to Thursday accompanied by a top bottle from home. 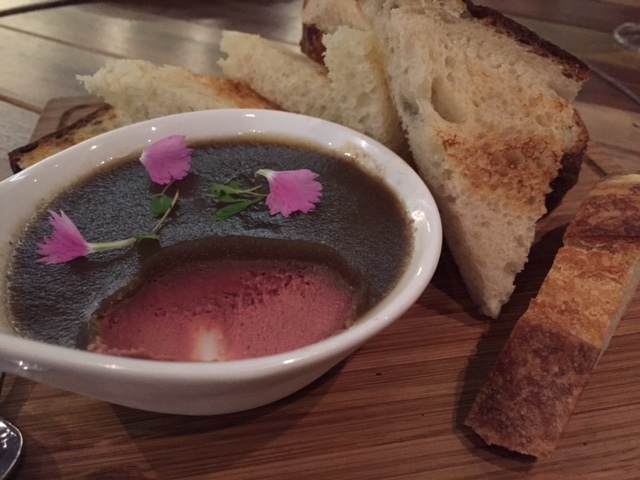 The menu goes from small to substantial with cured meat plates, snacks, smaller plates and mains. There’s even a cheese menu made up of carefully considered Australian & European options. Here’s a taste of the snacks and smaller plates. My top pick for the snacks goes to the pumpkin nachos. They come with a smooth pumpkin puree and house made ricotta. The perfect pairing with a glass of bubbles or white wine. 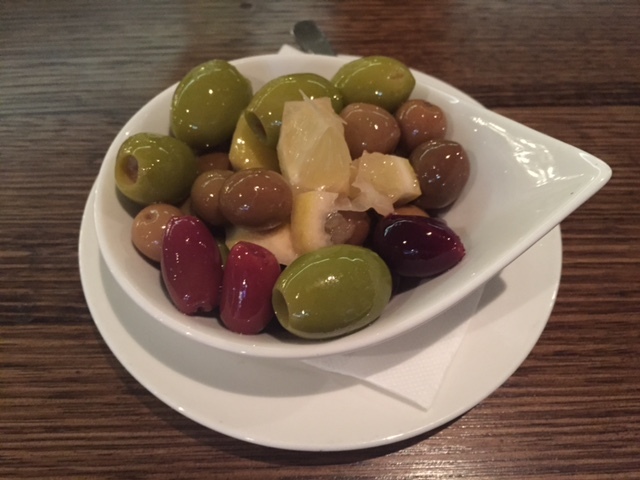 The good thing about all of the snacks is that you don’t have to be seated in the bar area to order them and they’re light enough to enjoy over drinks without ruining your appetite for what’s to come. 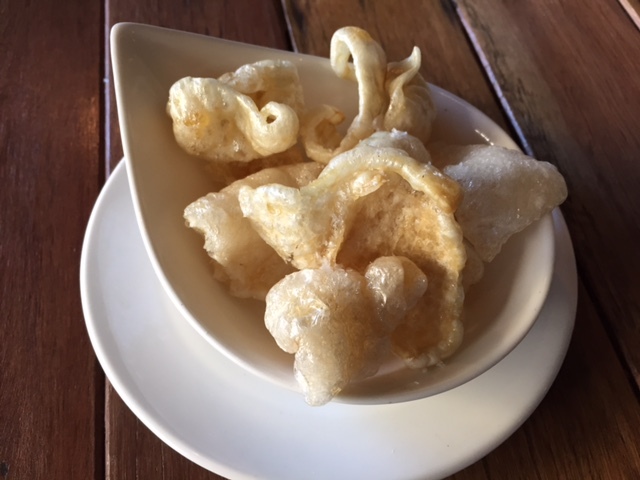 Of course if you’re dining with a (non-vegetarian) beer drinker then don’t miss the pork scratchings. The 10 or so ‘smaller plates’ dishes are perfect for sharing. There’s a good choice of fish, meat and vegetarian options, all nicely priced below $20. Note that the portions are generous – so if there’s a main course you’ve got your eye on then don’t get carried away. Of course I had to try the slow cooked carrot dish. It seems to have been mentioned in every write up on Barrel Bar & Dining since opening night – and for good reason. It really showcases how a humble vegetable can be turned into something fun, delicious and conversation worthy. 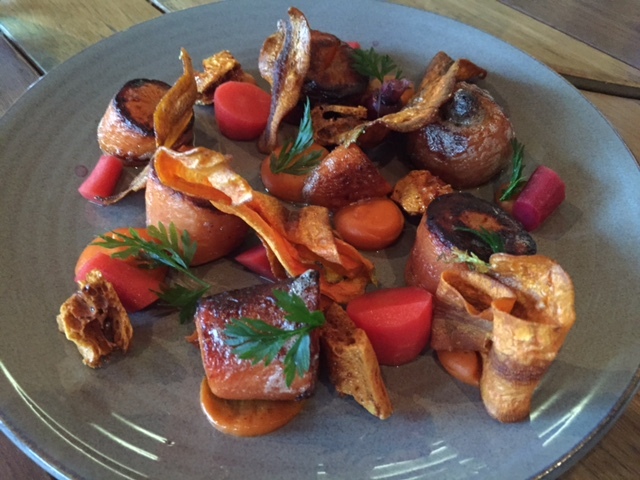 You won’t look at an ordinary carrot in the same way again after trying this dish. 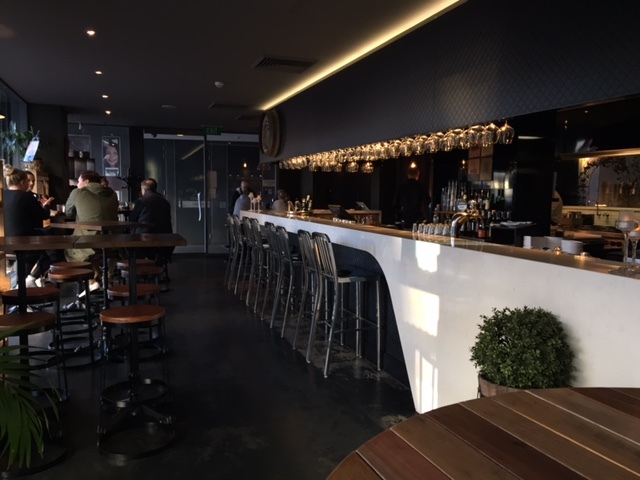 Barrel Bar & Dining has made a bold move in Cremorne, a suburb with plenty of ‘safe’ restaurant options. It seems the move was long overdue. 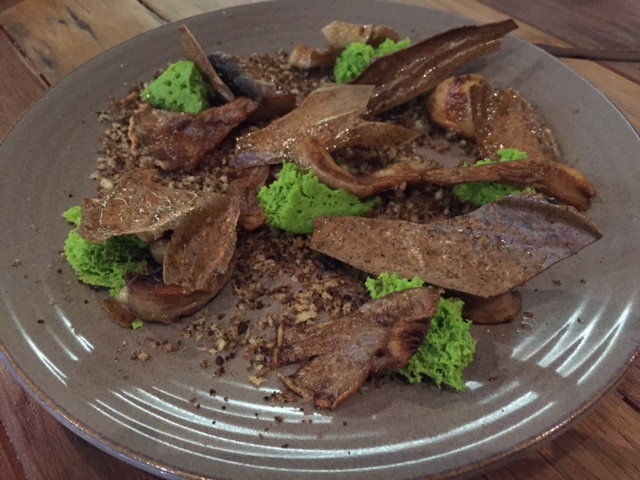 Locals, like myself, have welcomed with open arms their clever, innovative food that sits clearly on the fancy end of casual dining. Barrel Bar & Dining suddenly gave Cremorne something (other than its stunning art deco cinema) to boast about. 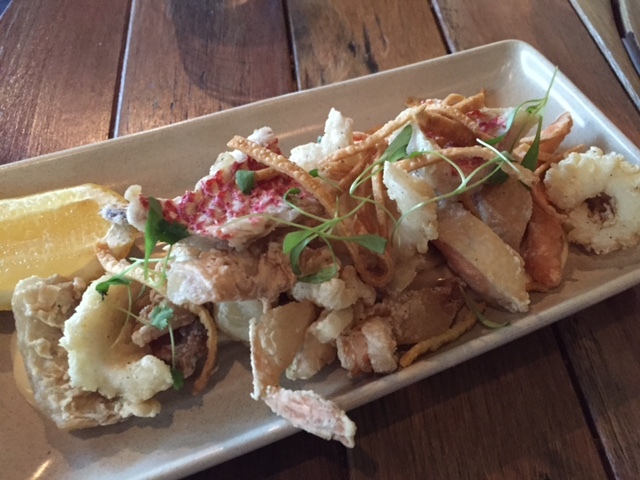 Tags: Barrel Bar & Dining, Cremorne, menu, review, The, wine. Bookmark the permalink. 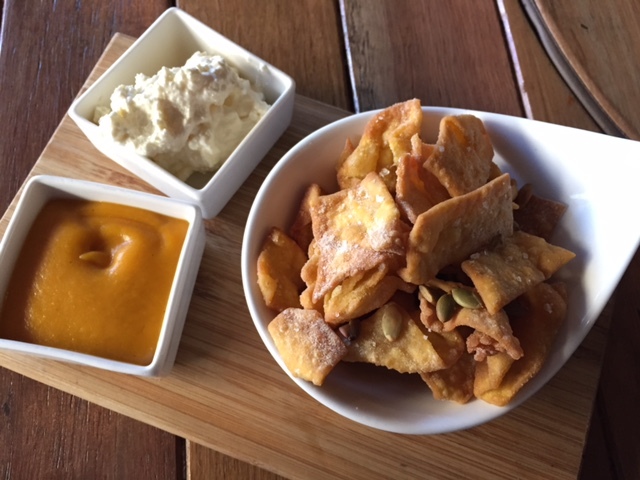 Pumpkin nachos sound so virtuously healthy! And I love frito misto too. Yes kind of healthy – probably a fair bit of oil used to make them so crunchy but they taste so good! Gorgeous. I would happily eat several bowls of their crackling. The photo alone is drool-worthy. Thanks! Reminds me I need to go back again….